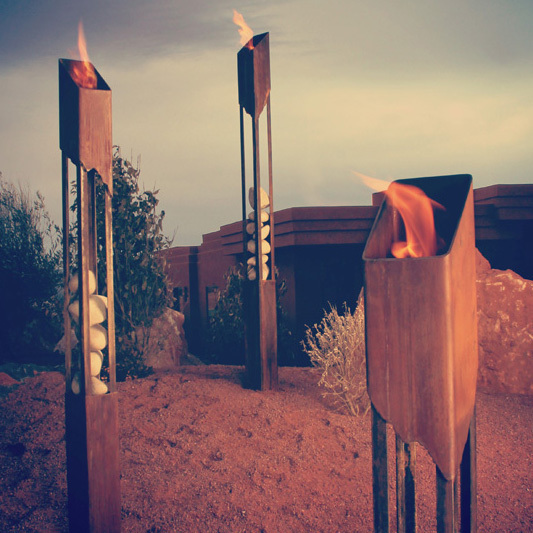 The Terra Flame Home firespace is so much more than a clean burning environmentally friendly fire. It is art, accessory, and furniture. Our pieces will bring warmth and beauty to your living and working space while adding unexpected utility to an often overlooked design element, fire. The Elements Fire collection features contemporary lines and organic materials inspired by the earth's resources in their purest forms. 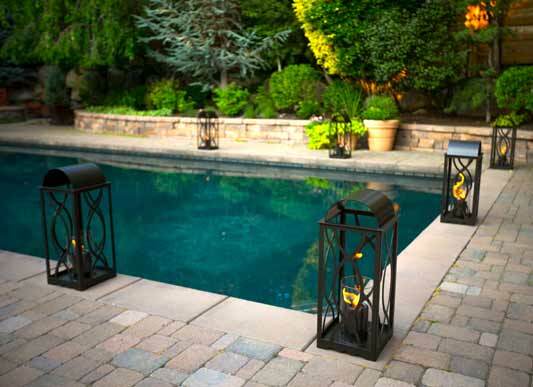 Naturally finished in rust by the elements of your unique climate and accented with real river rock, each Elements Fire piece is a one-of-a-kind and will blend seamlessly in to any land- scape or patio environment. 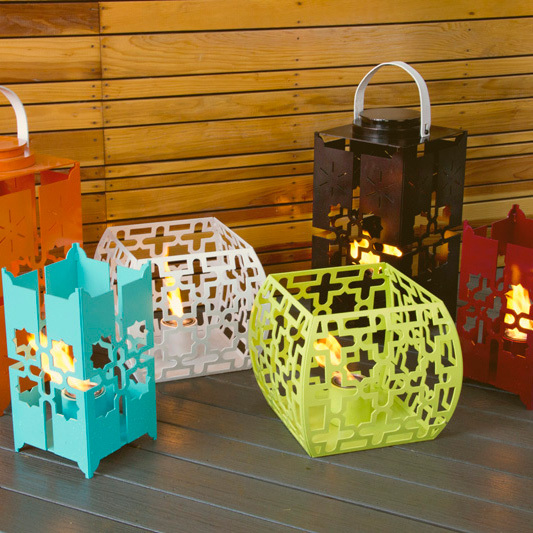 The Moroccan collection by Terra Flame Home features stunning patterns and geometric shapes etched into solid steel, then visually softened with traditional colors inspired by the vivid pallet of the region. Available in 3 unique styles and 4 sizes. The Georgian Collection by Terra Flame Home: Traditional fluid lines and architectural lids complete the most traditional look of our lantern collections. Designed to be finished in classic bronze, but available in all 14 colors, this piece is one of our most versatile yet. Modern enough to accent very sophisticated and contemporary environments, yet familiar enough to feel like a faded memory; like that old sweet song.